The advent of the Internet and the affordability of smartphones are making family members to be more and more inclined to technology. With parents' (so-called) ever busy schedule, toddlers these days are often baby-sitted by phones and tablets; children are being accompanied by digital devices to be their playmates. This over-reliance on technology will not only damage our little ones' eyesight, but also their relationship with us and those around them. So as parents we are obliged to spend as much as time as we can with them especially on weekends when we are not working. No disrespect to anyone, but more and more parents are being LAZY to take care of their kids. Instead of spending quality time to play with their children, these irresponsible parents would rather oversleep on weekends until afternoon on weekends most probably due to whatsapp or binge-watching on Netflix the night before. So these poor children who are yearning to bond with their parents could do nothing but...play among themselves. My wife and I have always tried to limit our screen time with our smartphones or digital devices. 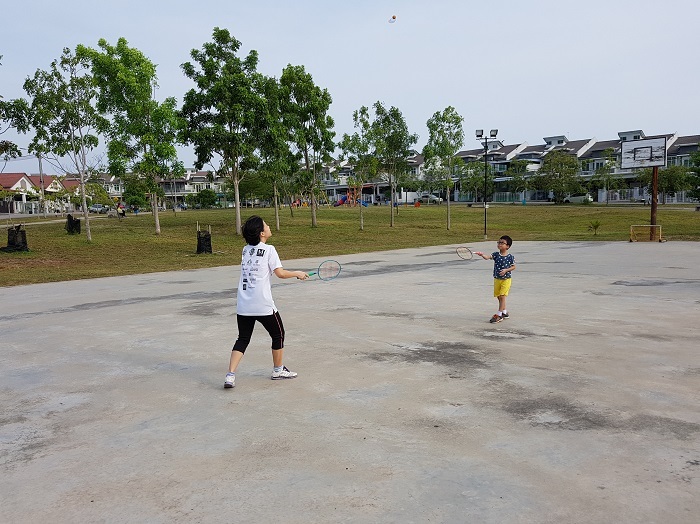 On weekends, if we do not have any family outings we would either go swimming or hit the nearby playground to play badminton, cycling or jogging. 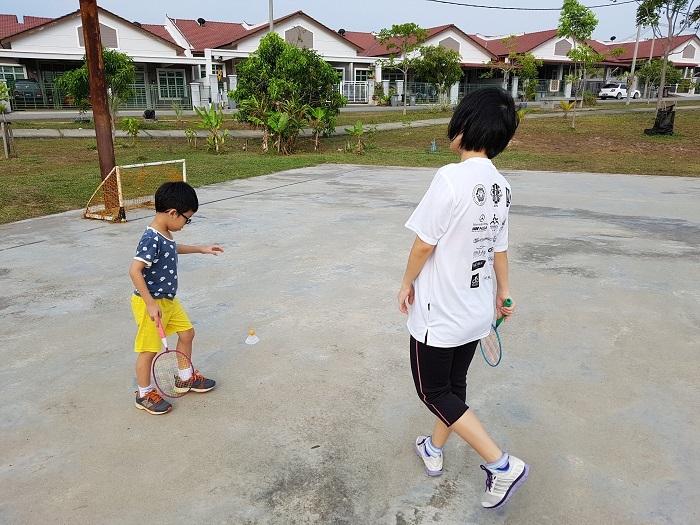 Trust me: kids enjoy physical activities and exercises more than they would with the tiny little screen whereby they need to squint their eyes. Nothing beats feeling the gentle morning breeze grazing your face while letting the fresh air invigorating your lungs. Look at how happy Jasmine girl is. 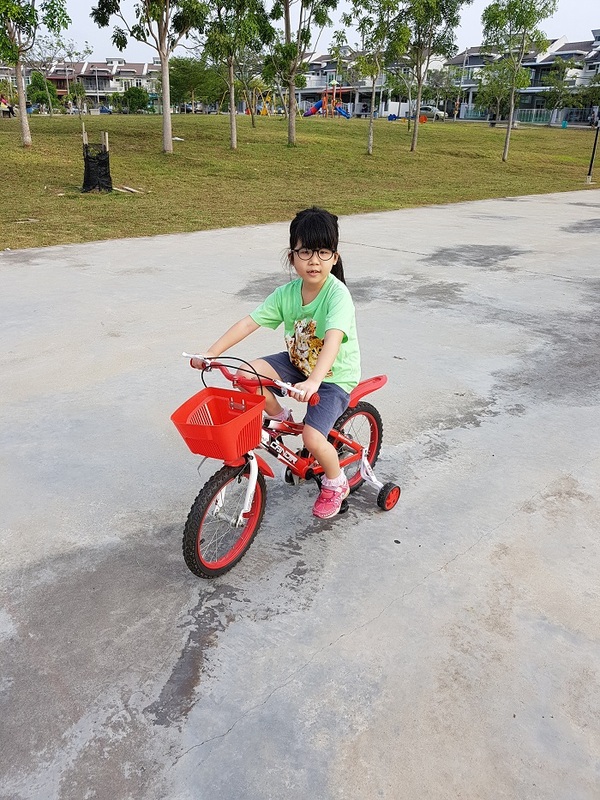 My little Jordan and Jasmine really love to cycle and jog at a playground near our home. They will be totally excited whenever we tell them that we would be spending time working out or playing. They will be shouting in excitement, waiting to play in the "real world". 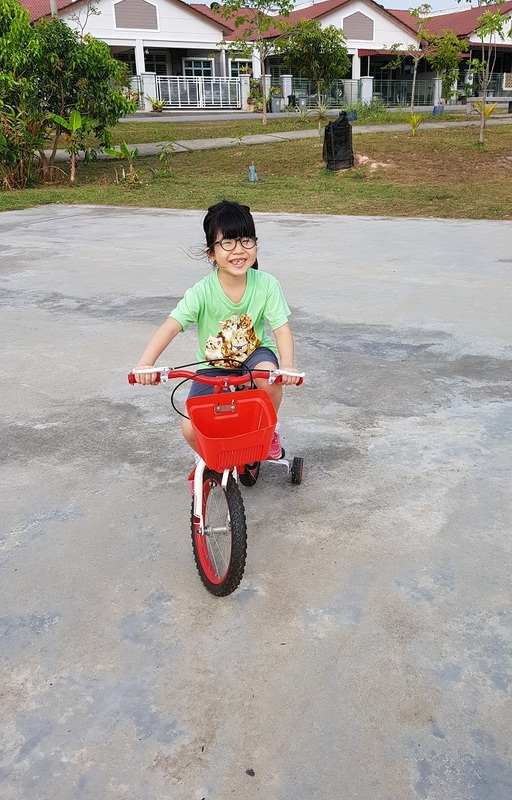 Our children are already bogged down by excessive homework and lessons in school, do not further torment them by forcing their eyes to be glued to screens be it small or big. 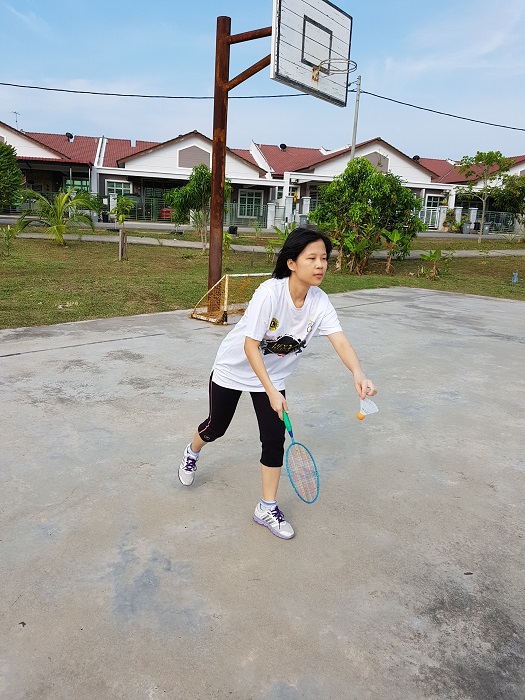 I am glad that my wife is a responsible mother who loves her children a lot.